It’s clear that climate change is having an effect here on Earth, as temperatures rise, extreme weather takes its toll, and the natural environment continues to change. One main cause of climate change on Earth is, in fact, the very humans inhabiting it. Our massive consumption of electricity, as well as energy used through industry, agriculture, and deforestation, is causing an increase in greenhouse gases in the Earth’s atmosphere. These gases, while necessary in moderation, serve to increase the temperature of the climate when in abundance, and thus contribute to the effect of global warming. There is a way to help alleviate these affects, however. By making some small changes to stay greener at home, you can diminish your own energy consumption, and thus lessen your own personal contributions to climate change. Here are five ways to do so. Recycling a variety of household products and wastes serves to cut down on the creation of pollution and greenhouse gases. If there is a recycling program in your community, take advantage of it by providing all of your recyclable goods. In addition to recycling materials like paper, glass, and plastic, you can also compost your organic waste at home to keep it out of landfills, where it contributes to the creation of methane, a greenhouse gas. Conserve electricity as often as possible. Forty percent of the energy consumed in the United States is used to generate electricity, and it’s as simple as shutting out lights that aren’t in use and using daylight to illuminate your surroundings when possible. You should also consider replacing your most frequently used light bulbs with energy efficient bulbs, or replacing old appliances with energy efficient versions. Conserve water and use it efficiently. Wash clothing and dishes in cold water, as using hot water will increase your use of energy at home. If you use a dishwasher, only run it when you have a full load, and do the same when washing clothes. An action as simple as shutting off the water while brushing your teeth can save considerable energy. Protect your home against heat and cold on your own, or with the help of a professional. Seek out drafts and seal them with caulk, or add more insulation to your house. Additionally, you can save energy by adjusting your thermostat accordingly when you’re not at home. At night, lowering your heat by 10 or 15 degrees can significantly cut down on energy, as can heating only the rooms that you frequently use. Use green cleaning products. Many conventional cleaning products use non-biodegradable chemicals that are toxic to the environment, and green products are not only free of these chemicals, but manufactured in a sustainable manner so as to do less harm to our environment. Of course, you can always make your own green cleaning products, as well. It might not seem like much, but your little bit of effort can have a great effect. 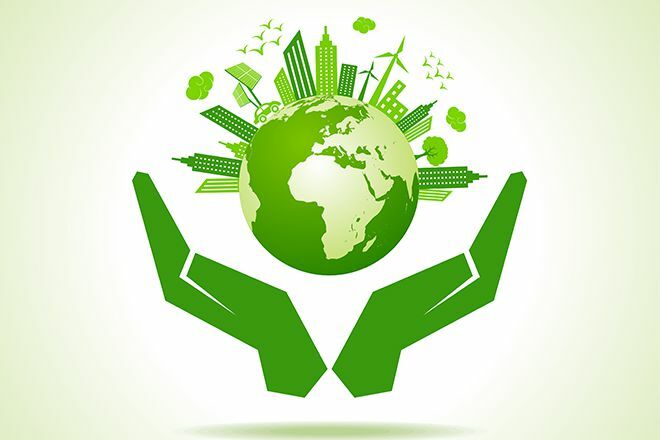 When you begin to make subtle green changes to your lifestyle, you raise the collective chance of helping the Earth by conserving energy and living your life in a mindful, sustainable fashion.